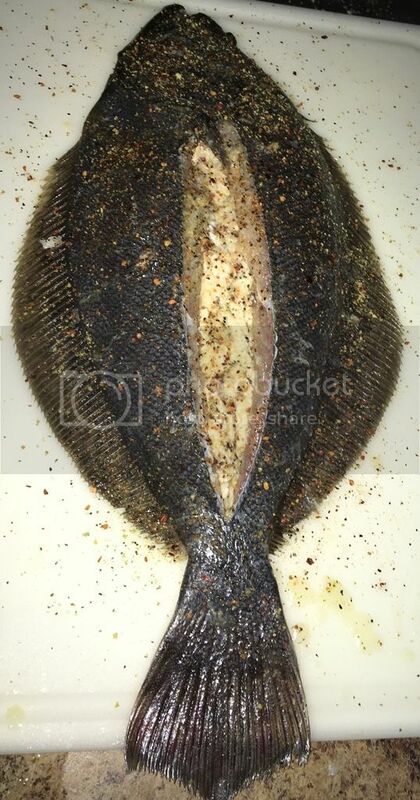 Simple whole stuffed flounder recipe. 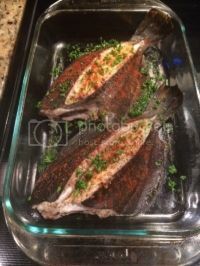 Post subject: Simple whole stuffed flounder recipe. It is flounder season and have been catching some quality fish lately. Wanted to try something different and decided to stuff a whole flounder yesterday and it came out awesome! Here is what I did. Clean the flounder. 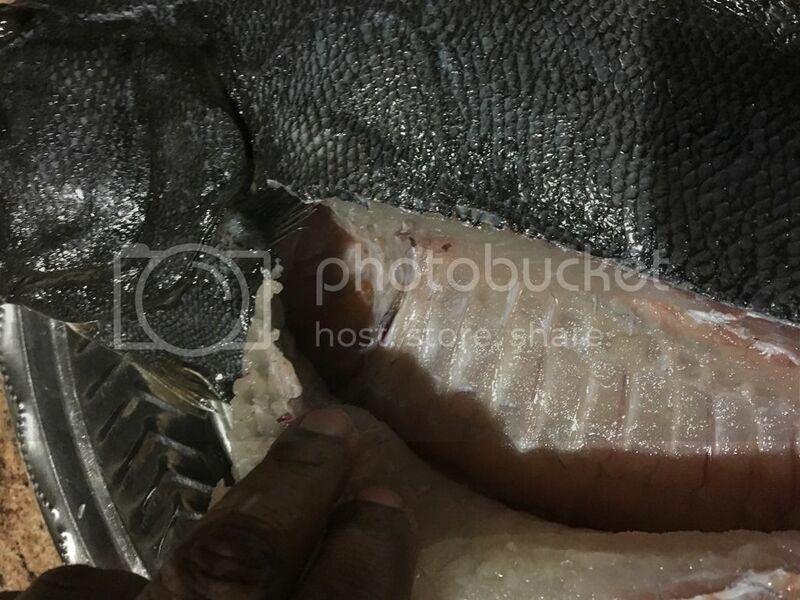 Scaled, gills and gut removed, and slots slit on both sides on top of fish. Melt butter in the microwave and apply all over the inside and outside of the flounder. 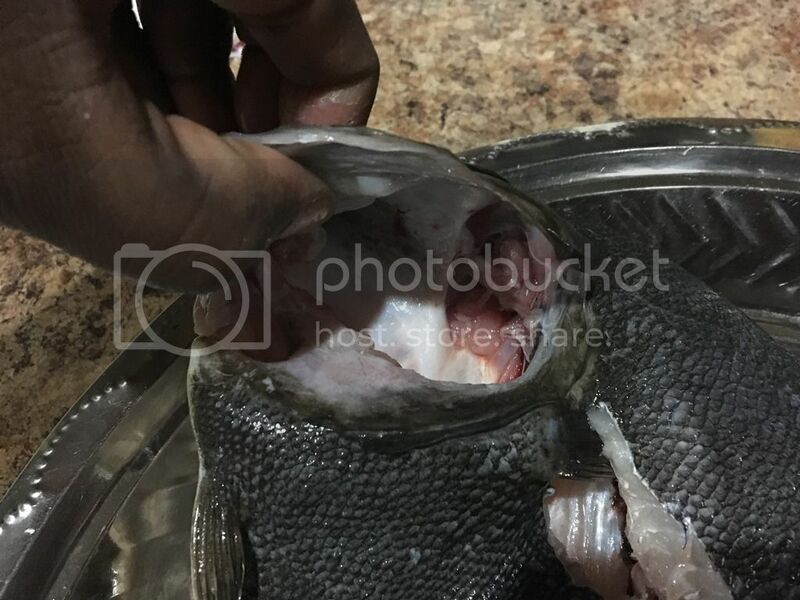 Apply seasoning in the inside of the fish by lifting the sloted sides. Then stuff the crabcake mix inside the flounder and push them in. Throw in some more butter. Sprinkle more seasoning all over the fish. Pre heat the overn to 375 degrees. Place the dressed fish in a baking sheet (Apply butter or non stick spray on the sheet). Bake for 25 minutes. Then turn the oven to Broil (500 deg F) and cook for about 5 minutes so the top gets crispy. Take a fork, remove the meat from the skin and bones, mix with the stuffing and enjoy!! Don't forget to dig in the flounder cheeks and scoop out that meat too!! Fishing isn’t a matter of life and death. It’s much more important! Post subject: Re: Simple whole stuffed flounder recipe. Damn, that looks delicious!!!!! Oh, I'll be making this over the weekend for sure. Thanks! how about the bottom side, just eat that after the top, or have you ever stuffed both sides. I guess you'd need a big enough one to do that. Once half way through eating, push the stuffing to a corner and just pull the backbone off. Comes of easy. Then move the stuffing back in and dig! Wanted to keep this one as simple as possible. 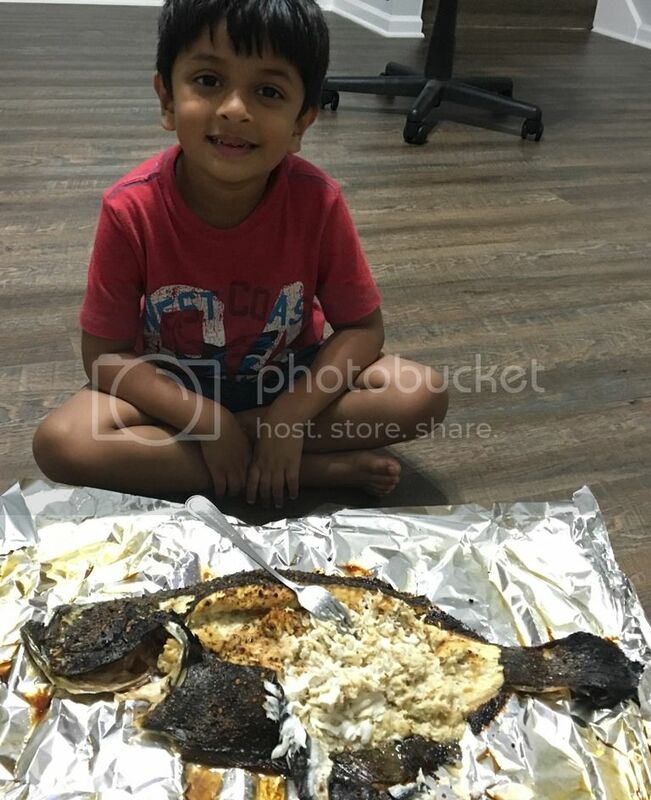 Arun......Welcome back and Thanks for adding another of your recipes to JKF!!! This one looks quick and easy and simple, and thanks for the detailed instructions!! Cool the way you ate it....kinda "picnic style" and let everyone pick out the stuffing and flounder meat......pick it clean and throw away the carcass!!! Thanks for sharing Arun. I like it. I also like it prepared this way https://youtu.be/1RBrIkVr9zI. Paddled the kayak over to my favorite gigging spot. Stuck 4 within an hour and passed over at least 4 little little chips too. Then to cook them I basically followed this recipe and stuffed them with crab cakes. Squeezed on some lemon juice for extra flavor and holy crap, they were so so good. Thanks again Arun. Good stuff! 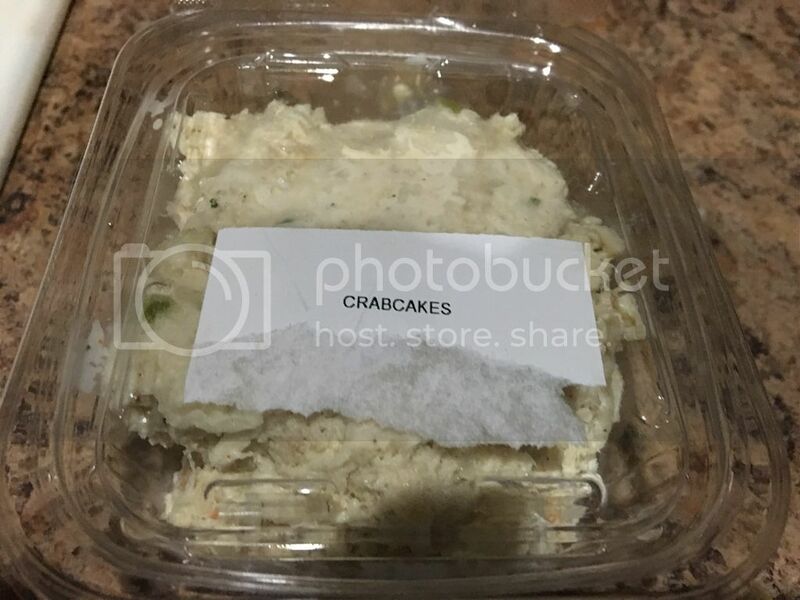 Using pre-made crab cake mix does make it easy. I finished mine with paprika, parsley, and lemon when they came out of the oven. Looks YAMMY!! Nice finishing touch!! Wow, so delicious. I adore sea food.